Emotional support animals, or ESAs, are pets that provide an advanced level of comfort to owners suffering from emotional or mental disabilities or difficulties. ESAs have become more accepted in treatment for those experiencing ailments such as post-traumatic stress disorder, bipolar disorder, social anxiety, or depression. Though ESAs do not need special training to qualify for the designation as service animals do, those who need ESAs are required to have a legitimate letter written by an LMHP. 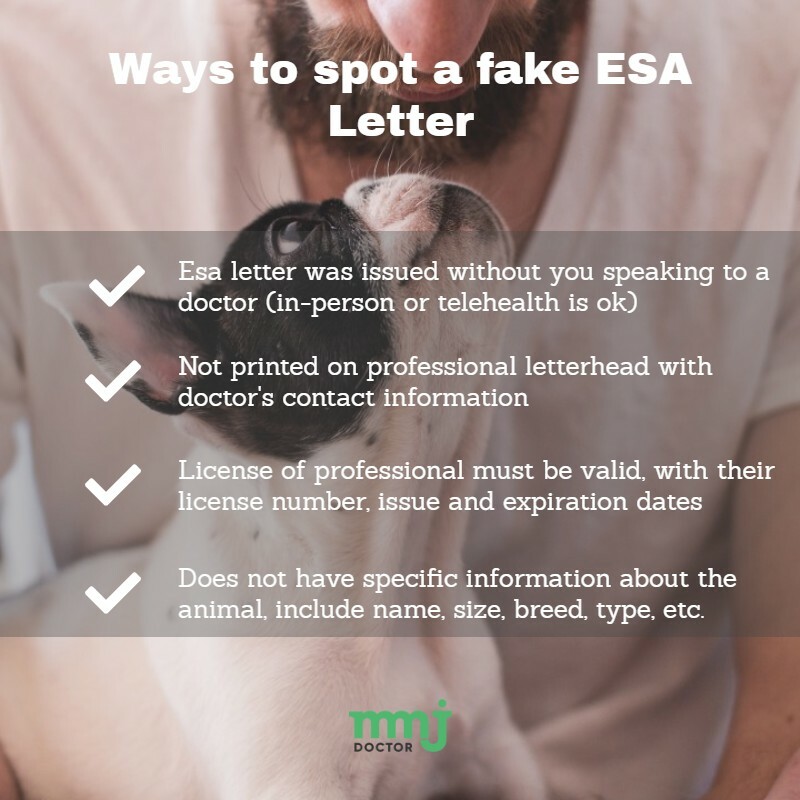 Unfortunately, there are many scam sites on the internet that claim to issue legitimate ESA letters but that end up wasting the patient’s time and money with a useless piece of paper. One of those scam sites is TherapyPet.org. In this critical review, we’ll take a look at what a legitimate ESA site needs to provide and why TherapyPet.org does not meet the qualifications. Legitimate sites providing ESA letters must be located in the United States. For example, EZCareClinic.com has a physical location in San Francisco. TherapyPet.org tries to disguise the fact that they have no physical location in the United States. If you cannot locate and verify the United States location of your online ESA letter provider, you should look for a different provider as they are likely a scam. One of TherapyPet.org’s claims is that you can get a valid ESA letter within 24 hours with their ‘expedited’ options. However, truly legitimate ESA letters take time because they must be completed by licensed mental health professionals after they’ve interviewed and qualified you. If the online ESA provider guarantees ‘instant approval’ or very quick turnaround times, you should be leery as they likely are not a legitimate service. Valid ESA letters must be written and signed by qualified LMHPs. These professionals must be on staff at the clinic and must review qualifications before they can write ESA letters for clients. Though TherapyPet.org claims to have therapists on staff, there is no way to verify this claim. If you do not speak with an LMHP who is licensed to write ESA letters in the state where you reside, your letter will not be valid. Just as it takes time for an LMHP to complete your evaluation and determine whether you qualify for an ESA letter, it also takes effort. That means that ESA letters are not cheap. 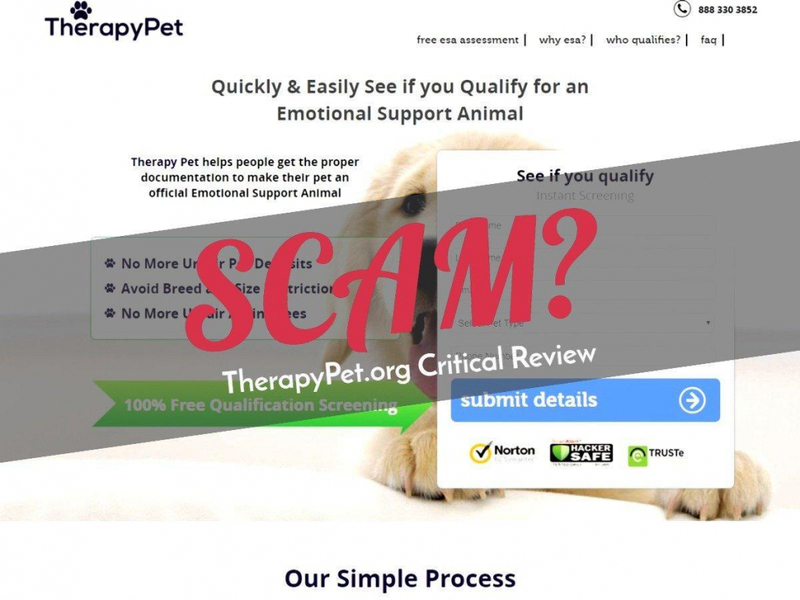 Scam sites such as TherapyPet.org often promote their letters as being cheaper than their competitors and may even offer discounts or deals. Be wary of any site that brags about their ‘cheap ESA letters’ as they are usually not legitimate. The only way to get a real ESA letter that will hold up when examined by housing personnel or airlines is to go through a legitimate site with LMHPs on staff. Though it won’t be the cheapest option, it will be the only one that will protect your rights. If you have difficult to treat emotional or mental disorders, you have probably tried everything from prescriptions to therapy with varying results. Animals can often provide the unconditional love and need for care that helps those suffering from a range of issues. A treasured companion such as a cat, dog, or ferret can give a sufferer a reason to get up in the morning. It can also provide a calming effect, especially for those suffering from anxiety-related conditions. Emotional support animals can be any type of animal, though they are usually those that can be easily taken care of. 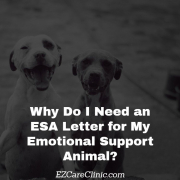 Because a person applies for and is given an ESA letter instead of the animal itself, a patient can technically have more than one ESA at one time. In most cases, though, a patient benefits the most from one cherished animal they can form a deep bond with. When you get a legitimate ESA letter from a provider such as EZCareClinic.com, you experience a number of benefits. You can take your animal with you on airplanes and keep them with you in the cabin for no additional charge. You can also keep your animal with you in any housing situation, even if the housing development has a ‘no pets’ policy. Your landlord will not be able to charge you any additional fees for keeping your pet with you in your home. ESAs may also be let into other public or private areas where regular pets are not, though these are determined on a case by case basis. Are these 2 sites legitimate? National Animal Service Registry, certapet or esa.org. RECOMMENDATIONS? Thank you. National animal service registry is a scam. Don’t use it. I don’t know about the other two.